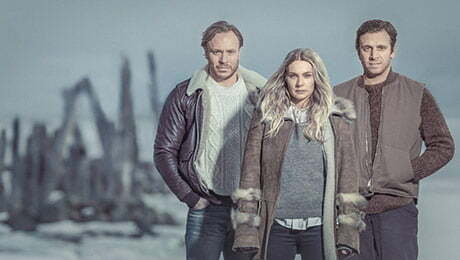 Finnish telco Elisa has picked up a package of Nordic noir series from Germany’s ZDFE Enterprises (ZDFE) to be streamed on its SVoD service in China. The licensed titles include Swedish political drama Blue Eyes (10×60’), Finnish smuggling thriller Welcome to Texas (10×45’), Sweden’s dark family chronicle Thicker than Water (10×60’), and Arne Dahl (10×90’), a series based on the immensely popular crime novels from author Arne Dahl about an elite force within the Swedish police. In Summer 2018, Elisa signed a cooperation agreement with China Broadcasting & Television Media (CBM, a subsidiary of China Broadcasting Network), the leading provider of IPTV services in China, to provide Nordic TV to Chinese cable TV households. Nordic TV is part of Elisa’s international entertainment business and is based on the company’s subscription services like Elisa Viihde, which includes Nordic movies, TV shows, documentaries, sports and entertainment programmes.